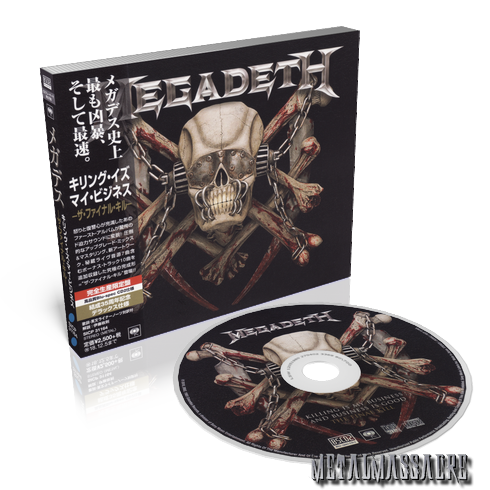 Megadeth / Killing Is My Business... And Business Is Good - The Final Kill [Remixed & Remastered, Japanese Blu-Spec Edition] (1985 / 2018) - 27 March 2019 - MetalMassacre: Metal in High Quality. Completely restored to Mustaine’s intended vision. Remixed by Mark Lewis and Re-mastered by Ted Jensen. Contains the previously unheard parts and performances throughout the record, including a missing drum performance found during the mixing sessions. Includes the full original album, along with 7 live audio tracks from VHS tapes found in Mustaine’s own attic.